Catnip is a vigorous, but short-lived, herbaceous perennial. Catnip is a vigorous and weedy herbaceous perennial native to Eurasia in the mint family (Lamiaceae) that is hardy in zones 3-9. Widely naturalized throughout temperate regions of the world, Nepeta cataria is one of several species that are referred to collectively as catmints. Typically found in disturbed areas, such as roadsides or field edges, along streams or on waste ground, this plant has aromatic leaves that most cats are attracted to, although many people are not enamored of their pungent odor, variously described as a combination of thyme and oregano to “mildly skunky”. This short-lived plant contains high levels of the terpenoid nepetalactone in the oil produced in oil glands on the underside of the leaves and on the stems. The distilled oil was found to be a great repellant for mosquitoes and other insects, although it is not effective when applied to the skin. The foliage can be used fresh or dried to brew an herbal tea, or used as a culinary herb, and once was used medicinally, but these uses are not very common. 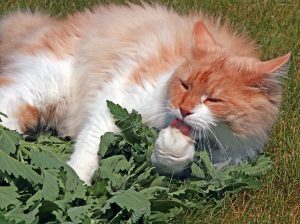 Most cats enjoy rubbing or chewing on the leaves of catnip. 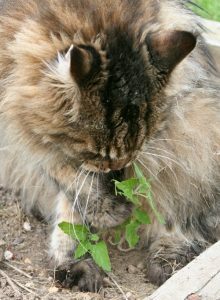 Catnip is probably best known for its psychoactive effects on felines – it produces a pleasant intoxicating effect in both house cats and many wild cats. The nepetalactone acts as an attractant when smelled by cats, with most rolling, rubbing, or chewing on the leaves. This causes many types of behavioral changes, such as becoming more playful or attacking things nearby, but this effect wears off after 5-15 minutes, and about a third of house cats do not respond to catnip (sensitivity is inherited). Other possible responses include anxiety, aggression, hyperactivity, drowsiness, purring, or drooling. The dried leaves retain their fragrance but attractiveness to cats declines the longer they are stored as the oils volatilize. The best time to harvest is in late summer when the plant is in full bloom. Cut stems (or entire plants cut off at the base – they readily regrow from the crown) can be hung upside down until dry in a dark, warm, airy location, and the crumbled dry leaves can be used in potpourri, for herbal tea, put into cat toys, or used plain for recreational purposes by cats. Store in tightly sealed containers. Catnip has square stems characteristic of the mint family. Catnip has green to gray-green foliage on erect, branched stems and a rangy habit. Like other members of the mint family, it has the characteristic square stems of mint plants and opposite leaves with 1 inch petioles. The light green stems and petioles are covered with fine hairs. 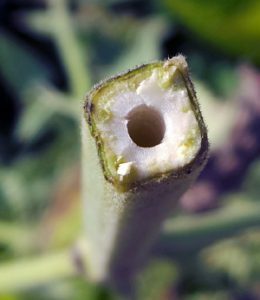 The triangular to ovate leaves are up to 3 inches long with coarse teeth along the edges (crenate margins) and are cordate at the base. Both upper and lower surfaces are covered with fine hairs, and a reticulated network of veins is clearly visible on the upper side. Plants die back to the ground in the winter, and fresh stems emerge in early spring. Plants can grow up to 3 feet tall and wide under ideal conditions, and may form colonies from the short rhizomes. The grey-green leaves are alternate (L), with toothed edges (C) and covered with fine hairs (R). Plants flower anytime from late spring through fall, blooming for one to two months. The small flowers (about 1/3 inch long) are borne in densely crowded whorls on spike-like terminal racemes. The individual bilabiate (two-lipped) flowers, typical of the mint family, are white with pale purple or pink spotting on the lower lip. The small upper lip has two lobes, while the lower lip has three lobes, with a larger middle lobe with a frilly outer edge. Bees of all types, wasps and flies, as well as many different types of butterflies, visit the nectar-laden flowers. Shearing after initial flowering promotes repeated blooming. Catnip flowers on tall stems (L) in dense whorls—in bud (LC) and flowering (C), with bilabiate flowers (RC) that are attractive to bees and other pollinators (R). Flowers are replaced by seed capsules, each containing four smooth, ovoid nutlets. Seed-eating birds, such as goldfinches, may visit the plants if not deadheaded. 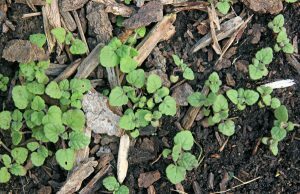 This plant reseeds readily, and may become a nuisance in some areas, but is not generally considered an invasive plant in Wisconsin. To reduce reseeding, cut the plants all the way to the ground after flowering. 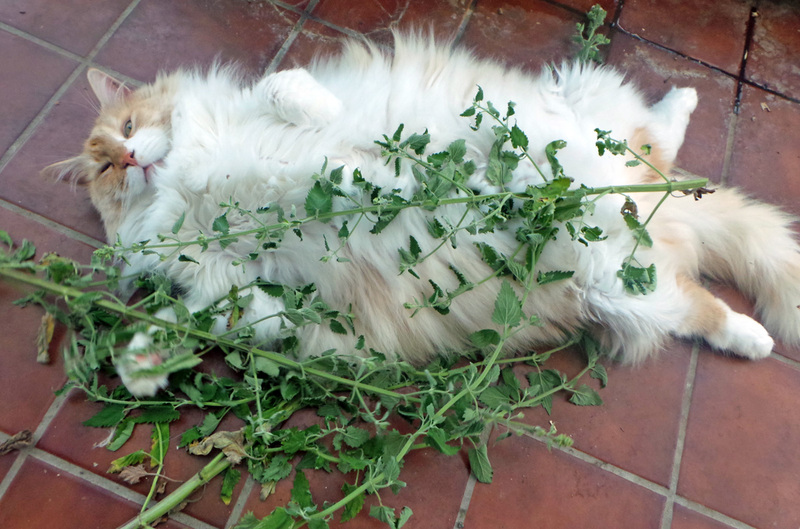 Catnip can be pinched back to promote more compact growth. Catnip is not particularly noted for its ornamental qualities, so it is rarely cultivated exclusively as an ornamental, or to attract butterflies, but it is generally grown for house cats. Other catmints with showier flowers and better-behaved habits (but less enticing leaves for cats), such as Nepeta x faassenii or N. racemosa, make much better ornamentals, but N. cateria could be combined with other perennials in the border as for the other catmints as part of a “cat-friendly yard,” or included in an herb garden. It can also be grown in containers. Pinching back regularly will result in a more compact and less weedy looking plant. You may have to protect small catnip plants from maurauding cats to allow them to grow up. 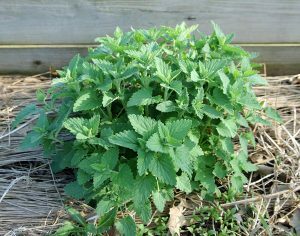 Catnip grows best in full sun and average, well-drained soil, but survives in partial shade and thrives in poor soils. Soil moisture and fertility levels greatly influence plant size. Once established, this plant is fairly drought tolerant. 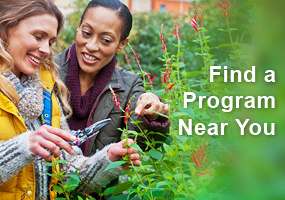 Pinching as the plants are growing up in the spring will help develop a more dense, well-shaped plant if grown as an ornamental. It is not favored by deer, but could be damaged by roaming cats (mainly breaking the stems when rolling on the plant). Someone suggested putting an ornamental bird cage over the plant to protect it from marauding cats and others recommend growing it in a hanging basket to keep it out of reach. It is readily propagated by seed (sown seed indoors a few weeks before the last frost) or by division of established plants. Good article. Beyond its cat-attractiveness, this plant should be promoted as beneficial for pollinators and in attracting birds. Like others have posted, here in western Nebraska this plant grows wildly and few others attract the number and variety of pollinators–including our threatened honeybees–as this catnip. And the fact that it blooms for so long is also an asset for our pollinators. Like others, finches really gravitate to this plant. Actually I see them working on it before the seeds have even dried…they love it! I noticed several years ago that the catnip I let grow for my cats also attracted finches. I now let it grow in clumps to attract the birds. In early winter the stalks will have several finches feeding. I also noticed that it is a favorite for the bees when in bloom. Since I use no pesticides on my property I feel I am contributing to the survival of these essential critters. Unfortunately the city sprays heavily for mosquitoes and just recently all the delightful lightning bugs just disappeared overnight. The positive qualities of catnip are many; attracts bees and butterflies, grows quickly, repellant for mosquitoes and has herbal uses. 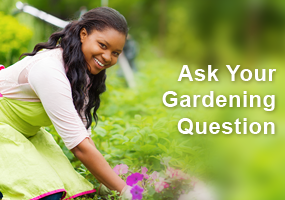 It can be controlled by deadheading or harvesting, thus preventing it from seeding throughout an area. It is interesting that some cats do not react to it and this is inherited. I did not realize that catnip had a square stem. Found it to be an invasive plant when I left some to grow for my cats. The plant has popped up in some unusual spots in my garden. Love that all bees like the blooms. I found the part about gold finches liking the seeds interesting. I wonder why they are not sold in stores like sunflower? 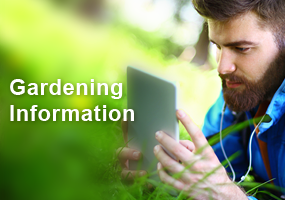 Also the part about mosquitoes is a good tip for someone looking into herbal remedies. I wonder if a cat nip neckalace would work to repel away mosquitoes as well. I have always been interested in learning about plants that help our pollinators and catnip has the added benefit for bird watchers since it will produce food for seed eating birds. Even though this is somewhat of a wild looking plant, with the right location in a garden it can be a winner. Thank you for this informative article. Interesting article. I, too, was glad for information that explains the difference between catnip and catmint. We have catmint and people would ask if it’s catnip and I’d always say it’s catmint, but wondered to myself if and what the difference is. Lol! I also didn’t know that shearing after the initial flowering promotes repeated blooming. I’ll have to look for our honeybees amongst the flowers, too! Didn’t realize the stem was square. How strange. 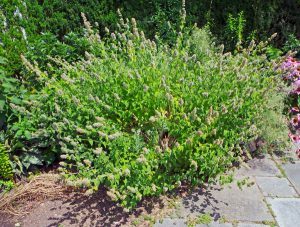 interesting article, having both a cat and grown “catnip” I found the mention of cutting the foliage back after flowering as a control strategy worth consideration. Controlling the short rhizomes has been relatively easy with the use 6-8 inch deep barriers. Controlling the cultivar’s spreading by seed drop has always been challenging. Mention of “catnip” being used medicinally sparked my inquisitiveness. An article, “Catnip: Its uses and effects, past and present” by Jeff Grognet, posted on the National Institute of Health web site (ncbi.nim.nih.gov), provides a long list of historical uses. It includes mention of being a substitute for marijuana as well, but fails to offer any conclusive statement to medicinal effectiveness. A deeper search of the internet also failed to turn up any conclusive references. However, there are a number of reference to “catnip” being use as a spice/herb in cookery. Thank you for clearing up the confusion over catnip and catmint. I have seen catmint mislabeled as catnip in garden centers. Love catmint in my perennial garden.